As a Los Angeles car accident lawyer for over 20 years, I have seen many common car crash scenarios and types of injuries sustained in traffic collisions in the City of Los Angeles. 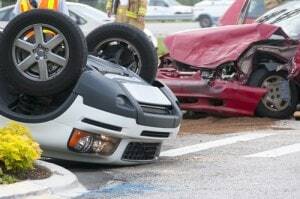 I thought I would post some information about these common auto collisions claims that I have seen and personally worked with as well as what you can do to protect yourself as an accident victim against having to be responsible for medical expenses, lost income and other consequences of being injured in a car accident in Los Angeles. The greater Los Angeles area (or what many call the “Southland”) is comprised of the City and County of Los Angeles, Orange County, Riverside and San Bernardino and Ventura Counties. According to the most recent census, it is the second largest metropolitan area in the U.S. with an estimated combined population of approximately 18 million people. The City of L.A. itself, which is comprised of downtown, south L.A., mid-city, the westside and the San Fernando Valley, is home to approximately 4 million persons. The main mode of transportation remains the automobile and mass transit is still secondary in the region. There are a dozen major freeways that criss-cross the L.A. Basin including the major east-west arteries of the 10 freeway, 60 freeway, and the 210 and the 110 freeways and the major north-south thoroughfares of the 5 freeway, the 101 freeway and the 405 freeway. Major arterial streets like Sunset Blvd., Wilshire Boulevard, Santa Monica Blvd., and Ventura Boulevard connect many thousands of surface streets through neighborhoods from Culver City to Santa Monica to West Hollywood and throughout “the Valley” from areas like Encino and Sherman Oaks to Chatsworth and Northridge. Connecting “the Valley” with “the City” are mainly the 101 the 405 and the 170 along with the various canyon roads like Laurel Canyon Boulevard and Coldwater Canyon Blvd. From downtown L.A. to Long Beach, the surface streets are laid out in a vertical pattern with east-west streets numbered from 1 to 266th Street and north-south streets with names including major arteries like Crenshaw Boulevard and Hawthorn Blvd. connecting municipalities in the South Bay like Torrance, CA. Because most Angelenos travel by car, traffic congestion in Los Angeles is among the worst in the nation. During the peak rush hour periods of 7 a.m. to 10 a.m. and 3 p.m. to 7 p.m., it is estimated that hundreds of thousands of commuters are traveling the areas freeways and surface streets at any given time. Traveling At An Unsafe Speed: Speed is probably the number one contributor to traffic collisions on L.A. Freeways from my perspective as an Attorney At Law. California Vehicle Code 22350 mandates that all persons traveling at a reasonable pace given all roadway conditions including traffic congestion, weather, visibility and the width of the highway and other roadway layouts. Unsafe Lane Changes: Most freeways in Los Angeles have at least 3-4 or more lanes in both directions of travel. California Vehicle Code 21658 requires drivers to stay traveling within a single lane as much as practicable and only allows lane changes when and if it is safe to move left or right. Failure to check rearview and side mirrors or making hasty decisions to switch lanes can lead to both two-vehicle crashes and multiple vehicle piles-ups. This is an especially dangerous and common occurrence between passenger vehicles and trucks on the one hand and smaller vehicles like compacts and motorcycles on the other. Following Too Closely: Tailgating is a major cause of freeway rear-end collisions. When combined with unsafe speeding, it can be a deadly combination. California Vehicle Code 21703 prohibits following another motor vehicle more closely than is reasonable or prudent given the speed of the cars in front and in the back, traffic, and other roadway conditions. DUI: Driving under the influence of alcohol or drugs (prohibited by CVC 23152) is on the decline but, Los Angeles County consistently has some of the highest numbers of total accidents and fatal accidents caused by persons operating motor vehicles under the influence of alcohol or drugs. In fact, over the past 10 years, the number of injury-related crashes in L.A. County related to DUI have averaged approximately 5,000 per year and the number of fatal accidents where alcohol or drugs were involved has averaged about 275 annually. Failure to Stop or Yield the Right of Way At Intersections: In my experience as a Los Angeles car accident lawyer, intersections (whether controlled by lights or stop signs) are the number one place for traffic collisions in the Southland. Major surface street arteries like Wilshire or Ventura Boulevards have 2-3 lanes of travel in either direction at any given point and most L.A. intersections do NOT have left-hand arrow turn signals. California Vehicle Code (CVC) 21453 requires all drivers to come to a complete stop and remain stopped when faced with a steady read, circular signal prior to proceeding either straight (on a green) or making a right-hand turn and CVC 21452 requires drivers to heed warning of an impending red when facing a yellow traffic light but, many drivers give in to impatience and simply run red lights, gun it through yellow lights turning to red, try to jump the gun when making a left in front of oncoming traffic or fail to stop and yield to pedestrians or bicyclists when making right-hand turns. Speeding: Traffic collisions caused by unsafe speeds by motor vehicle operators are almost as prevalent on surface roads as they are on L.A. freeways. The same provision of the vehicle code cited above applies in these situations. Often speeding goes hand in hand with running red lights or blowing through stop signs as well. Driving Under the Influence: While no one maintains statistics broken down by the type of roadway (highways vs. smaller roads), I can tell you as an attorney that has represented hundreds of injury victims throughout the L.A. basin for many years that fatal and injury accidents seem to occur with as much or more frequency on smaller “neighborhood roads” as on major Southland freeways. My theory on this is that people think they can drink alcohol or consume drugs if they only have to drive little distance to get home. People also feel like the LAPD is less likely to stop them for drunk driving than the California Highway Patrol. Distracted Driving: A growing and consistent cause of motor vehicle collisions on our Los Angeles boulevards and avenues is distractions which cause drivers to take their focus off the road and crash. This includes cell phones, GPS devices, radios, driving with headphones, eating behind the wheel, putting on makeup in the rearview mirror, turning around to yell at your kids and any number of other distracted driving scenarios. Talking or texting on any mobile electronic device without a hands-free feature is prohibited by CA Veh. Code 23123.5 and any other type of distracted driving can be deemed negligence, thereby imposing civil liability for car accidents causing personal injury or death. What Should I do at the Scene of the Accident? Stop Your Vehicle and Ascertain if Anyone Is Injured: Coming to a complete stop and shutting the engine off can prevent fires and other hazards. See if you or any of your passengers are bleeding, have lost consciousness or appear to need immediate medical attention. Call 911 immediately if there are serious bodily injuries. If there are serious injuries, it is best to stay put and wait for emergency medical technicians to arrive at the scene and render aid. IF POSSIBLE Take Photographs of the Vehicles and Then Move Out of Harm’s Way: Never get out of the vehicle and stand or go near oncoming traffic but, if possible, getting out of the car and taking a few quick photos with your smartphone of location of all vehicles involved and any accident debris may help prove liability at a later date. Taking pictures of the property damage to your vehicle and all other vehicles involved in the collision also helps to determine the points of impact which is sometimes crucial in determining legal fault for the accident. Oftentimes, in less severe accidents, you can move your vehicle to the emergency lane of the freeway or to the side of the road prior to taking these additional pictures. (Note: For further tips on documenting accident scene evidence with your cell phone camera, see our related post: Use Your Smartphone after A Los Angeles Auto Accident). Obtain Driver’s License, Registration and Insurance Information From the Other Driver(s): California Vehicle Code section 16020 requires all drivers to show “financial responsibility” upon request by a peace officer or after an accident. This means you should always carry proof of auto insurance either on your person or in your vehicle. (Note: Many auto insurance carriers are now also issuing digital proof of financial responsibility that can be downloaded and saved on your smartphone). You should also exchange the name, address, phone number, insurance company, policy number, driver license number and license plate number for the driver and the owner of each vehicle involved in the motor vehicle collision. Note: Sometimes the registered owner is different from the driver (example: a teenage driver driving a vehicle registered to his parents). A very simple way to get all of this information is to put the other driver’s license, registration and proof of insurance on a flat surface such as a car hood or seat and taking a photo of these with your phone. Do Not Make Any Admissions of Fault or Denials of Injuries at the Scene: Never admit fault to the other driver, to medical personnel or to law enforcement officials. Always be truthful but, do not try to analyze your own case and determine who is legally at fault. This is for determination at a later time and admissions can be used against you later. It is also important to note that, after the initial shock wears off, you may begin to experience pain that you were not aware of immediately following the incident. For this reason, it is always best to either state what injuries are clearly present but, to also state that you would like to seek medical evaluation to determine further injuries. If EMT or ambulance personnel advise that it would be best to be transported to a hospital for evaluation, then follow their advice! If you do not get transported via ambulance to an ER at a hospital, you should still go to an urgent care facility or your family doctor within a few days at the latest if you feel any pain, numbness, stiffness or any other indication of injury. Call the Police and Ask That A Report Be Made: If the accident occurs on a freeway, the California HIghway Patrol is usually the law enforcement agency that responds. They are the most likely agency to agree to prepare a report and their reports are usually available within 10 days of the incident. (For information on how to request a CHP Traffic Collision Report, click here). If the accident occurs on a surface street within the Los Angeles City Limits, then the Los Angeles Police Department, Traffic Division would be the agency in charge of the investigation and prepare a collision report. Unfortunately, the LAPD traffic division is understaffed and do not want to prepare reports in all cases but, must do so if there are any injuries involved. (For LAPD guidelines on report and instructions on how to obtain a police report from LAPD, click here). It is always better to request and obtain a police report if at all possible for later use in any civil claim for personal injuries. While the report is not admissible evidence in court, it does provide very valuable information that insurance claims adjusters and attorneys can use to prove liability and damages in a later civil claim. Consult with A Personal Injury Attorney If Anyone Was Hurt or Killed in the Accident! If you or anyone in your vehicle sustained any type of injury or there is a fatality, you/they should consult an injury lawyer immediately! California has strict time deadlines including statutes of limitations on filing auto accident claims. Auto insurance carriers start their investigations of insurance claims of car crashes within days (and sometimes even hours) of the claim being reported to them. Insurance adjusters have one goal in mind, which is to try to eliminate having to pay out on a claim or minimize their exposure. They do this in many ways but, one main tactic is to try to lock down evidence that favors their driver or insured as soon as possible. This includes obtaining written or recorded statements from all persons involved in the collision including you or your passengers, witnesses, their driver, etc. Another main tactic is to offer a low and quick settlement within a fairly short time frame after the incident and, oftentimes, before you are truly aware of the extent of your injuries or how serious the injury may be or the type of medical treatment needed. Consulting with and, if necessary, hiring a personal injury law office to be a buffer between you and the insurance company claims representatives can give you peace of mind and not sell yourself short. Hiring a personal injury attorney also provides you with your own legal representative that can obtain police traffic reports and medical records on your behalf, possibly provide assistance in getting needed medical attention (with or without health insurance), presenting the claim in a way that maximizes the settlement offer, and, if necessary, prosecuting any legal actions necessary to ensure that you are fully compensated for medical bills, lost wages, and pain and suffering and emotional distress damages. Hiring a Los Angeles car accident lawyer, or legal counsel who has had consistent results filing claims and litigating cases throughout Greater Los Angeles is essential to obtaining the maximum value on your accident claim. Our personal injury law firm works on a contingency fee basis, which means we charge no upfront fees and only collect attorney's fees when your claim is resolved. We also look to resolve claims in a way that maximizes the net recovery to you factoring the costs of filing a lawsuit versus and out of court settlement. If you live anywhere in Los Angeles County from the Antelope Valley in the North to South L.A. or from the west side the East L.A., the chances of being involved in a car accident are great no matter how good of a driver you are. Hiring experienced automobile accident attorneys who know the Los Angeles Superior Court system, regularly appear before judges and try cases in all of the L.A. County Court branches including Stanley Mosk Courthouse, Torrance, Norwalk, Pasadena, Chatsworth, Antelope Valley or Pomona could mean the difference between “settling for what you get” or getting all that you deserve! Call Steven M. Sweat, Personal Injury Lawyers, APC, the zealous legal advocates in L.A. for a free attorney consultation anywhere in Socal at 866-966-5240.